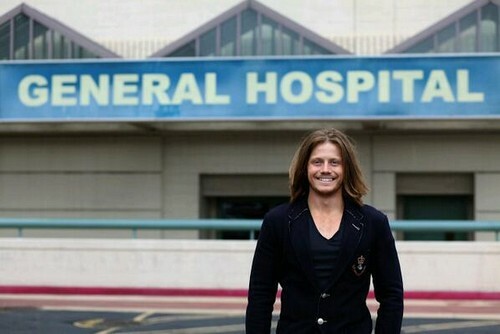 General Hospital Spoilers: Zachary Garred Cast As New Character Levi – A Love Interest For Maxie Jones? General Hospital producers are pretty tight-lipped about the character Levi, but we do know that the role is recurring and Levi is described as a “New Age Hippy.” And, rumor has it Levi may be a potential love interest for Port Charles’ very own Maxie (Kristen Storms). Storms has been on maternity leave since 2013, and GH writers wrote her character out by sending her to a spiritual retreat to “find herself.” After a series of tumultuous relationships and pregnancies, and being forced to hand her daughter over to Spinelli by a judge, Maxie left Port Charles single and alone. Considering Levi is a “New Age Hippy” and arrives in Port Charles around the same time as Maxie, it’s safe to assume they met each other at the spiritual retreat Maxie was at for the past few months. Then again, General Hospital is a soap opera so maybe Levi is stalking Maxie and followed her back to Port Charles from the spiritual retreat. Or, perhaps the spiritual retreat was more of a cult, and Levi is the General Hospital version of Ian Ward on The Young and the Restless. So, General Hospital fans, are you excited for Maxie to return to Port Charles next month? And what role do you think Levi (Zachary Garred) will play in Maxie’s life? Share your thoughts and theories in the comment section below, and don’t forget to check CDL tomorrow for more General Hospital spoilers. General Hospital Cast Spoilers: Wally Kurth Returns To Port Charles in Ned Ashton Role!